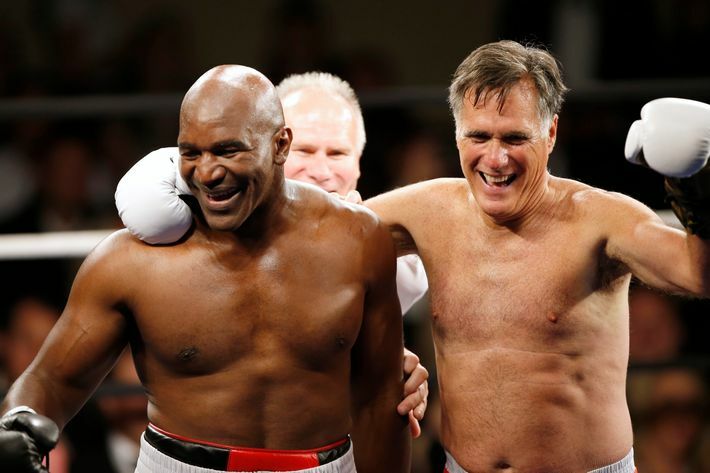 On Friday night, Mitt Romney and heavyweight champion Evander Holyfield finally kissed — which is another way of saying they participated in a charity boxing match in Salt Lake City. 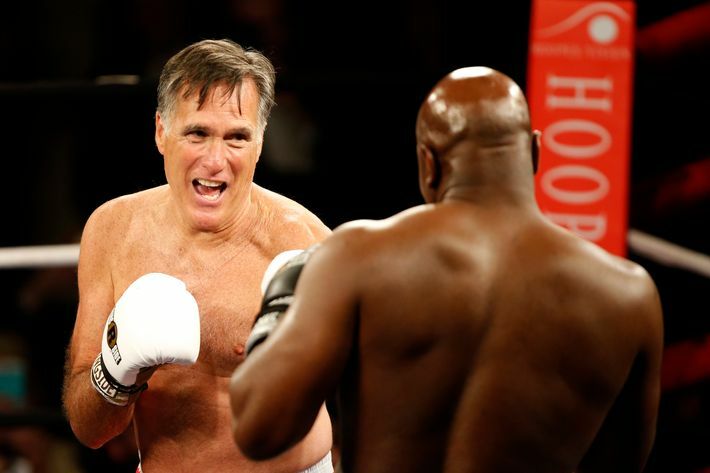 The Associated Press reports, "Romney, 68, and Holyfield, 52, sparred, if you could call it that, for just two short rounds Friday before Romney ran away from the boxer and threw in the towel, giving up a round early." 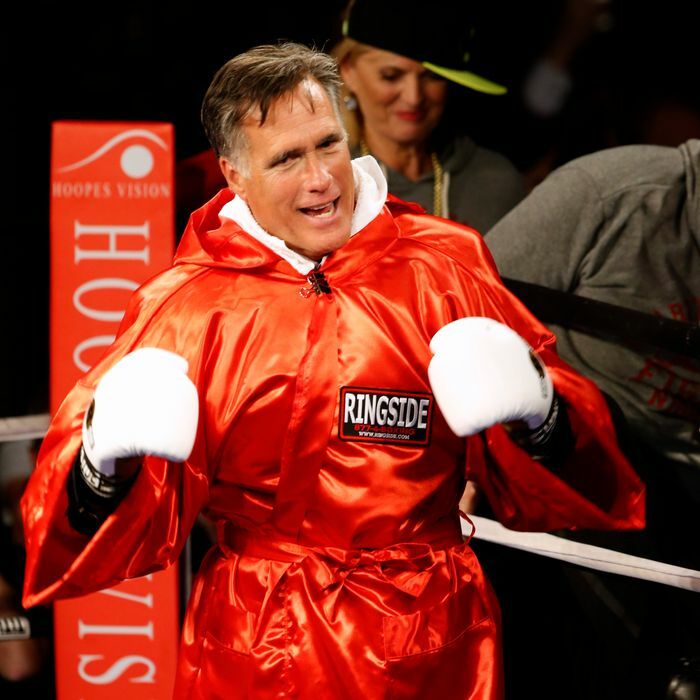 While the former Republican presidential candidate’s fighting skills might be lacking, he certainly delivered when it came to looking very, very goofy. 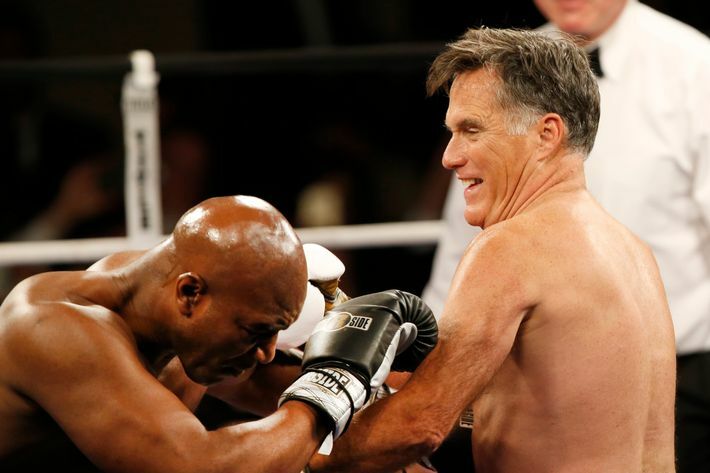 (Holyfield hammed it up as well.) Some of the highlights are below. 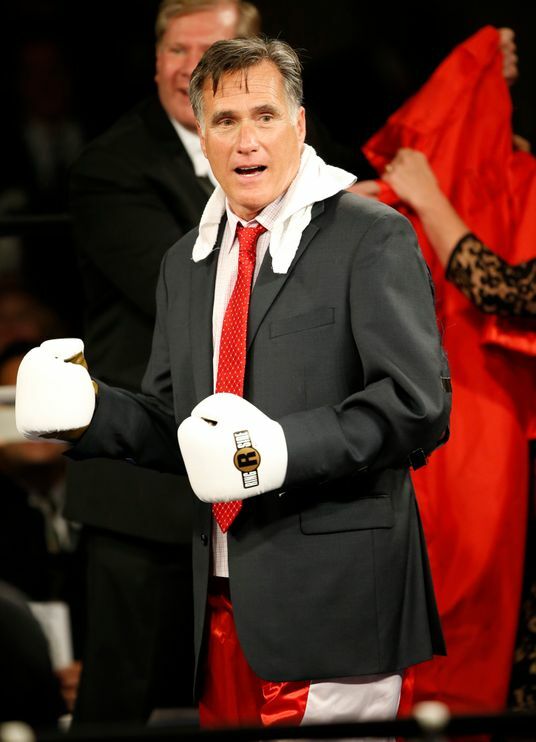 So it turns out Romney is not completely unfunny — he’s just more of a physical comedian.